A new drone has been released this week in the form of Ghost Drone 2.0 which is equipped with a camera that can be controlled by a user wearing a virtual reality headset. Watch the video below to learn more from Ehang’s co-founder Derrick Xiong who introduces the new feature and demonstrates the new Ghost Drone 2.0 quadcopter on-board camera, being controlled using the companion application which is then controlled using VR commands. The camera on the Ghost Drone 2 is capable of recording 4K Ultra HD video footage as well as taking still images using its 12 megapixel sensor, 93-degree wide-angle lens and 2.8 aperture. Other features of the quad copter include a 4,500 mAh battery that is capable of providing users with a 25 minute flight time. This is slightly reduced from the previous model which was equipped with a larger 5,400 mAh battery. Unfortunately no information on when the new Ghost Drone 2.0 with VR headset will start shipping have been announced as yet. But the basic quadcopter is now available to pre-order priced at $600 for the basic model which unfortunately does not include the VR headset or controller. For more information on the Ghost Drone 2.0, its virtual reality camera control system or to simply just preorder one to make sure you are one of the very 1st to get your hands on the unique system. 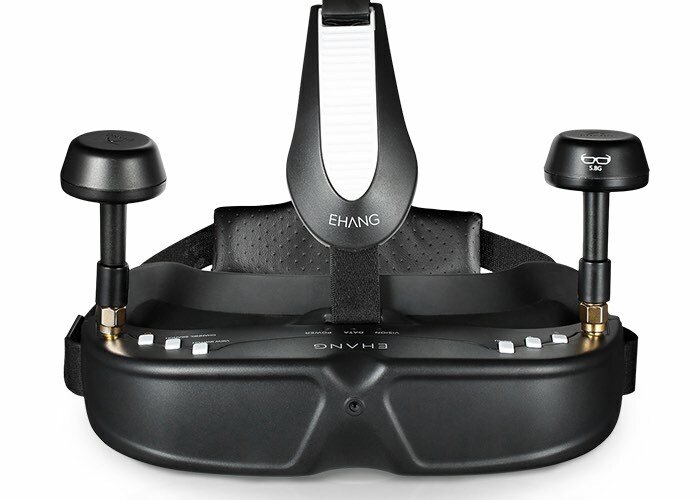 Jump over to the official Ehang website via the link below.